How does the gospel drive and shape our churches and ministries today? The Apostle Paul once explained it in an explosive training day for the leaders of the Ephesian church. The principles of gospel ministry he outlined are outrageously simple, but powerfully effective. 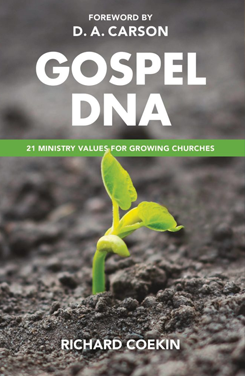 In 21 clear and practical principles from Acts 20, Richard Coekin sets out how this “Gospel DNA” should shape our approach to growing and multiplying churches.